Pepper North was born out of a love for growing super-hot peppers and handcrafting delicious gourmet hot pepper products. They believe in using the freshest locally sourced ingredients possible in order to create a flavor experience that will be enjoyable for all. 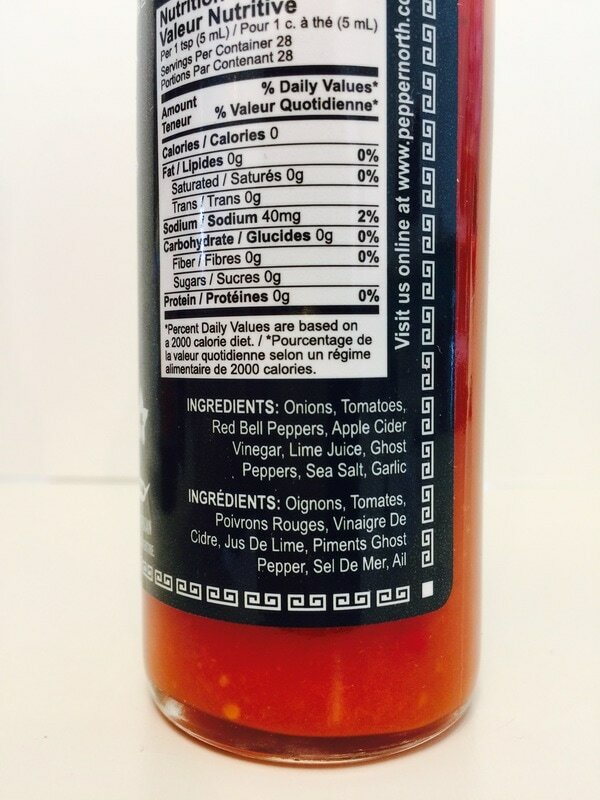 Pepper North is a family run business established in 2013 located in Oshawa, Canada. They began their journey into the hot sauce world much like many others, by growing hot peppers in their home garden and turning them into delicious spicy products for friends and family. As demand began to grow, so did their batch sizes. 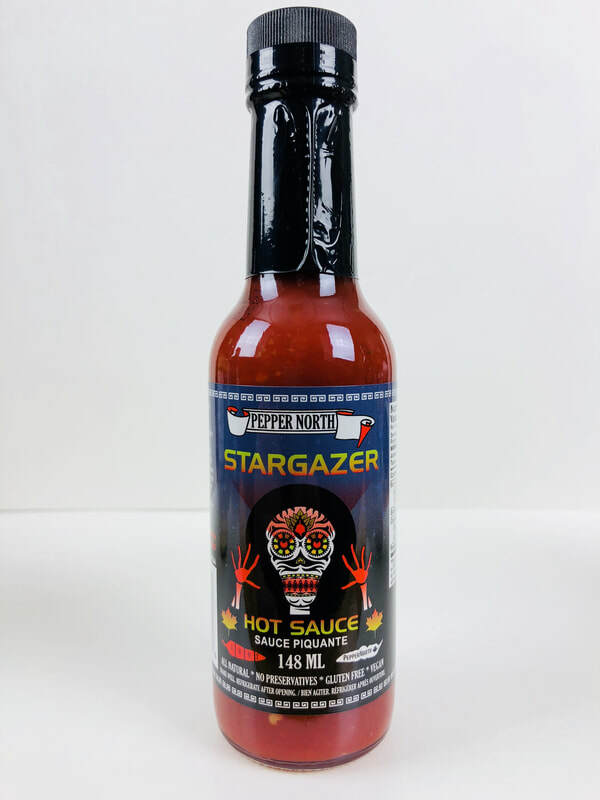 Adding eye catching labels and attending local farmers markets and festivals to rave reviews from customers and fellow hot sauce lovers. 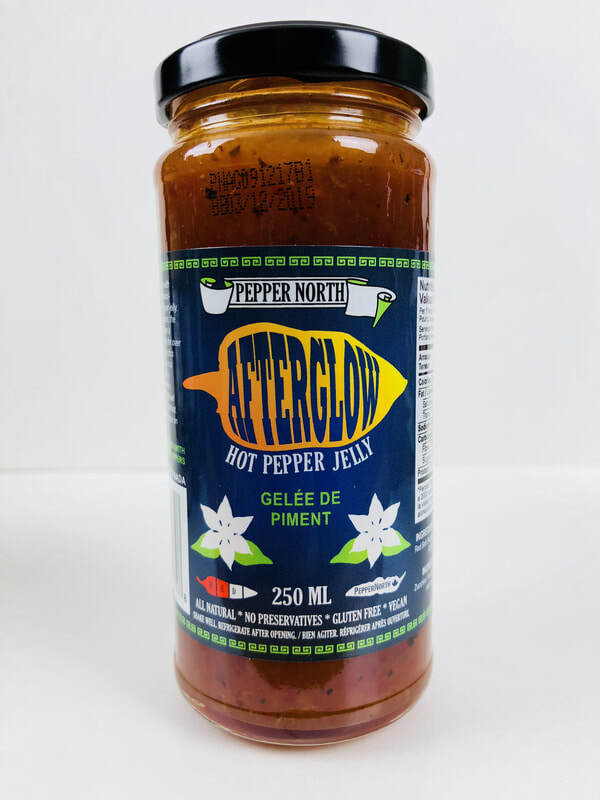 Before long, Pepper North was making a name for themselves across Canada with their line of delicious super-hot sauces. 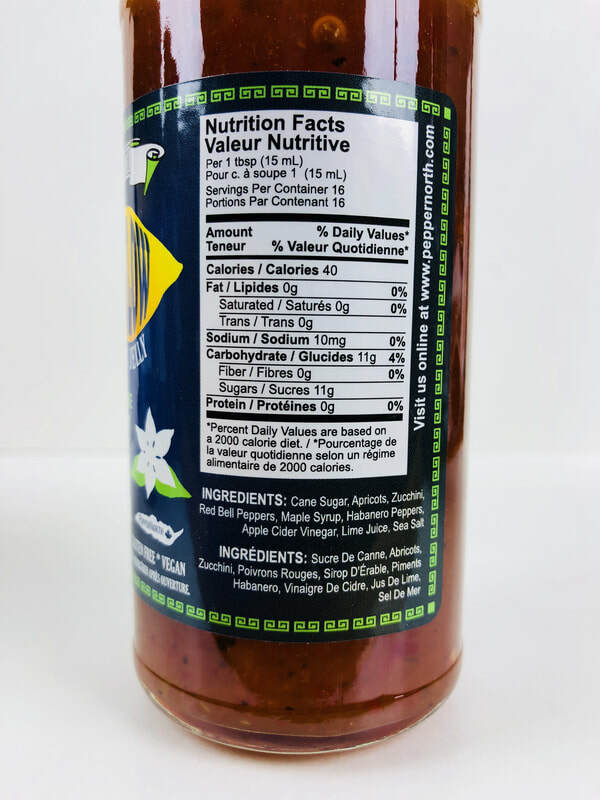 Currently Pepper North's award winning hot sauces and condiments are all natural, free from added preservatives, gluten free, and can be found in over 200 stores across Ontario and beyond. 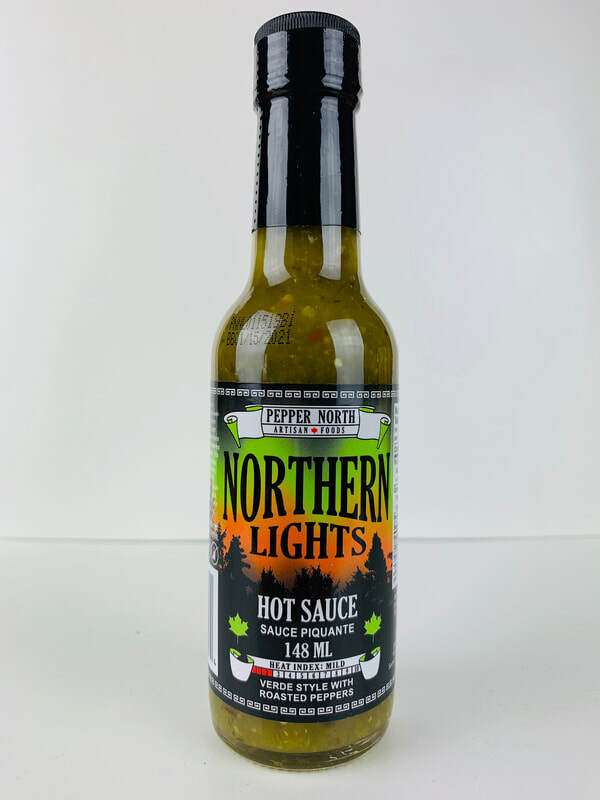 NORTHERN LIGHTS from PEPPER NORTH.. PEPPER NORTH has knocked it out of the park with this sauce. This has such rich flavor for a verde style sauce. 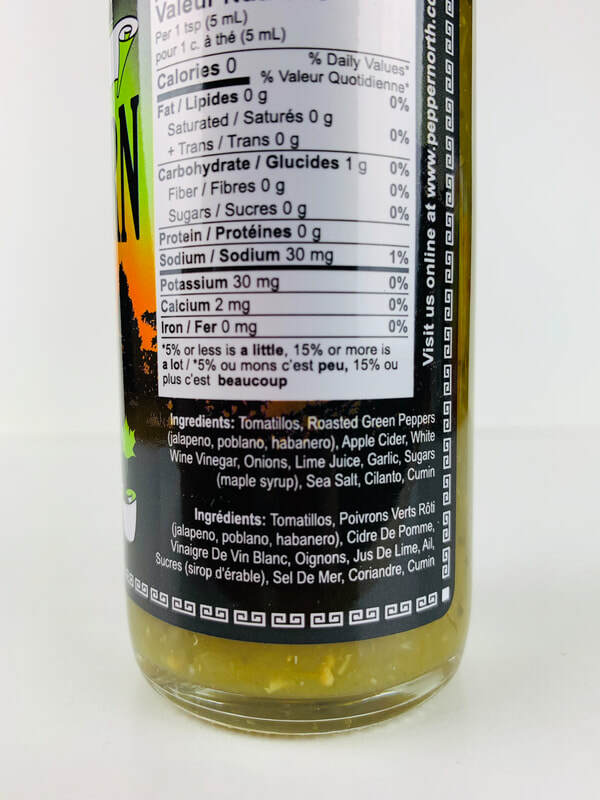 The combination of Tomatillos, Roasted jalapeño, poblano, habanero, Apple Cider and White Wine Vinegar, Onions, Lime Juice, Garlic, Sugars (maple syrup), Sea Salt, Cilantro and Cumin all come together to make a slightly sweet relish style verde sauce that will blow your taste buds away. The roasted peppers add just a hint of smoky flavor to the slight sweetness from the maple syrup. All these tasty ingredients comes together to make a sauce I can't get enough of. This is a wonderful addition to any Mexican dish from taco, burritos, nachos etc. 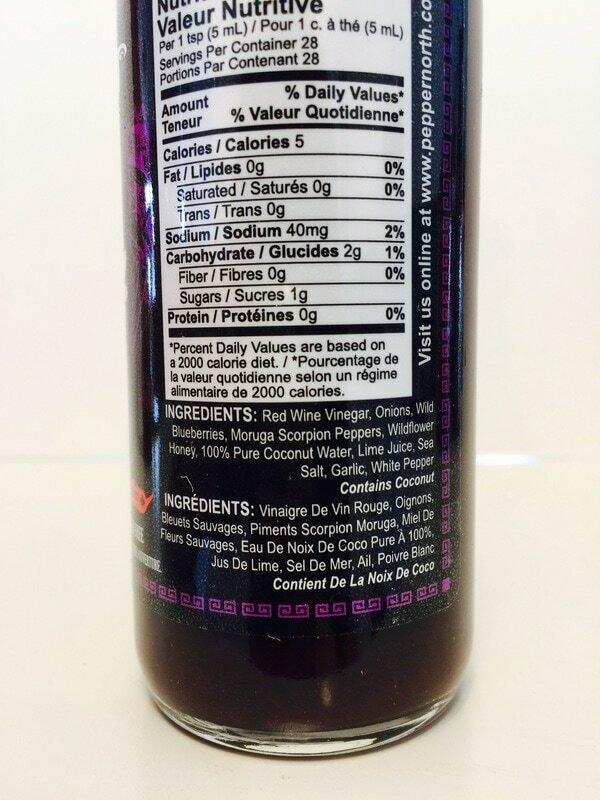 Pour it on pizza, eggs, mix with vinegar to make a unique and tasty salad dressing. The list goes on and on with this sauce. Grab a bottle or two. You will definitely be happy you did. 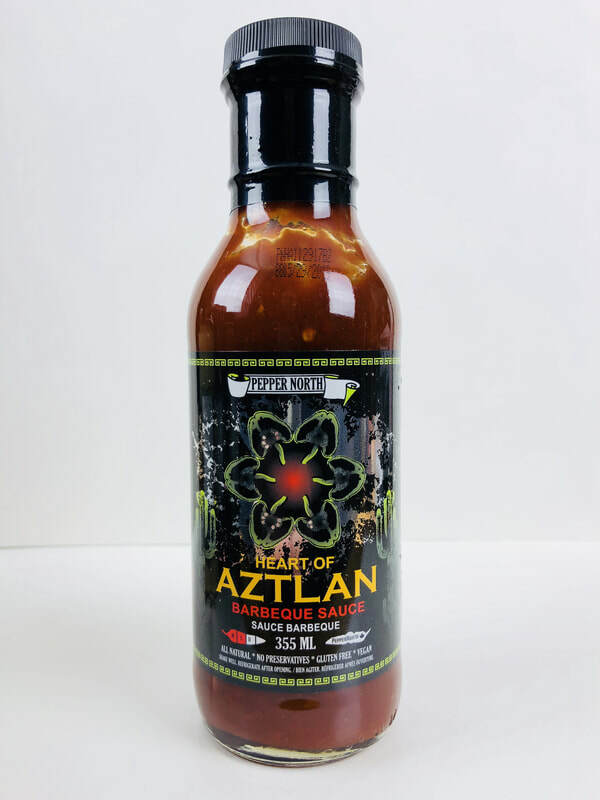 HEART OF AZTLAN BBQ SAUCE from PEPPER NORTH.. This 4 pepper blend BBQ sauce if full of smoky flavor with out being overly hot or sweet. The added flavor of apple sauce is definitely present as you taste this sauce. Chunks of dried tomato add a slight chewiness that adds great texture and flavor. The molasses from the brown sugar is added in without over shadowing the rest of the ingredients. Kentucky bourbon whisky is perfectly added in to add to its great flavor. There are a number of great BBQ sauces out there, but this one is a must try on your next cook out. Great job! STARGAZER from PEPPER NORTH.. This is a scorcher for sure! The red jalapeño and 7 pot primo peppers mix together to bing out a fruitiness from the peppers with extreme heat and flavor. There is a mild sweetness from the addition of maple syrup and a little hint of tang from the lime juice and apple cider vinegar, followed with garlic and sea salt. 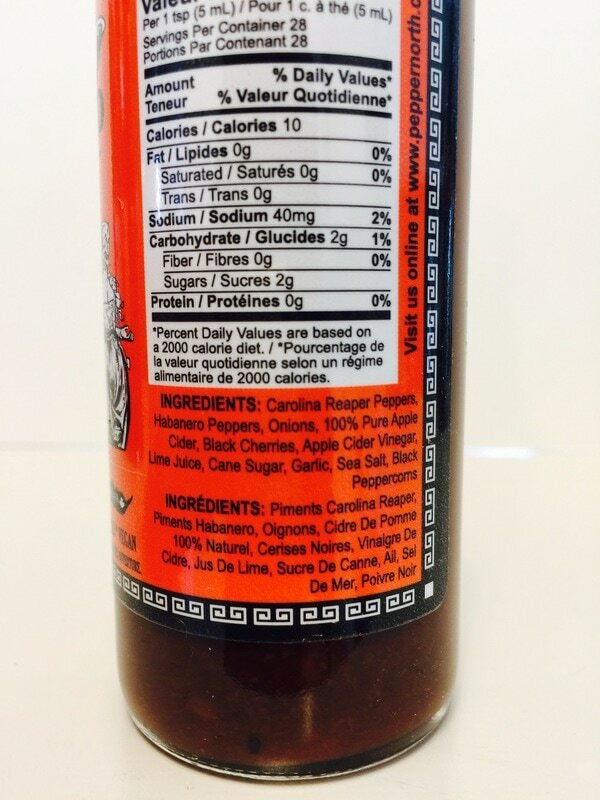 If you are a lover of super hots and great flavor, then this is one for you. 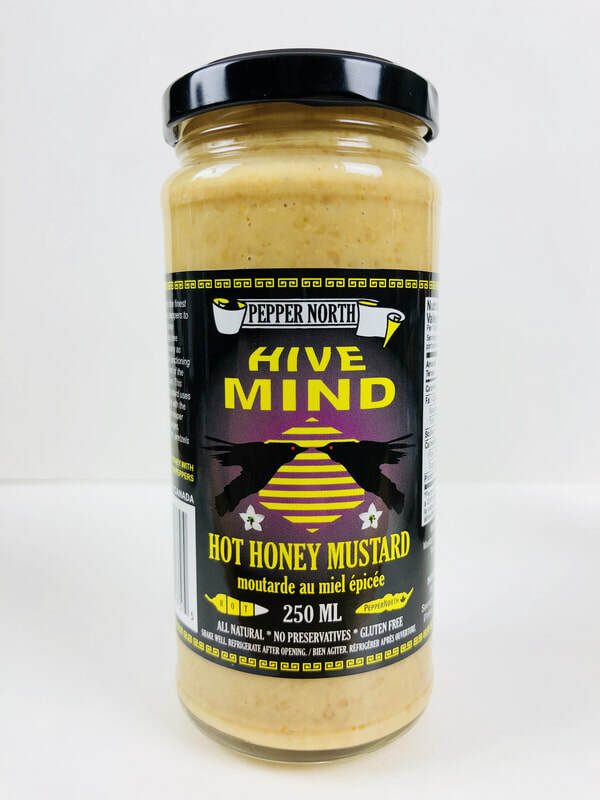 HIVE MIND HOT HONEY MUSTARD from PEPPER NORTH.. I said WOW when I first tasted this mustard. The hot honey mustard explodes with flavor and heat with every bite. You get little chunks of mustard seed to add a great nutty texture to its awesome flavor. the hint of white wine vinegar adds just a little tang that it a brilliant addition to the Carolina reaper flavor and heat. 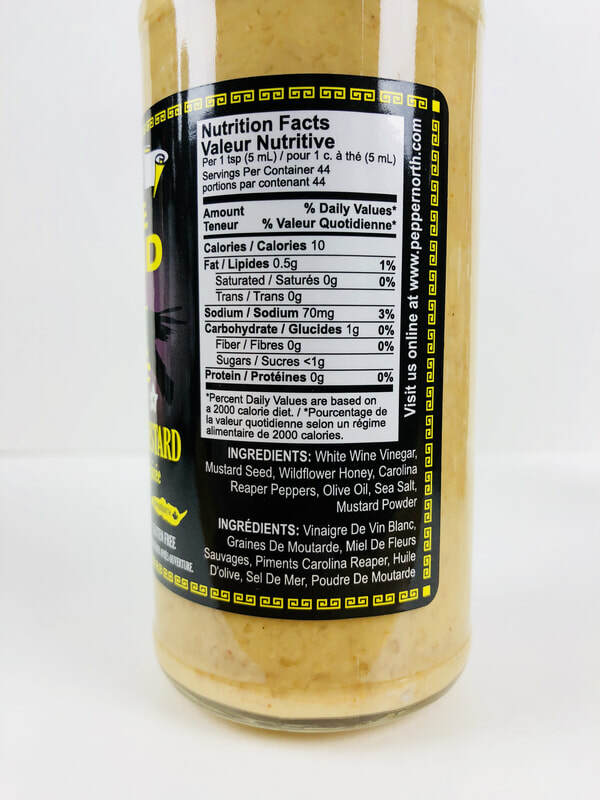 This would be a amazing mustard for sandwiches, hot dogs, sausage, hamburgers, used as a rub on ribs, in potato salad, deviled eggs a dipping sauce and so much more. AFTERGLOW HOT PEPPER JELLY from PEPPER NORTH.. What an amazing jelly! From first taste I fell in love with its flavor. Even though its a jelly, it's not overly sweet. The sweet matches the the flavor perfectly, with apricots, zucchini red peppers, maple syrup, habanero, apple cider vinegar, lime juice and sea salt. The hint of salt brings out it's great apricot flavor as it mixes with the rest of it's ingredients. The pairing of the hot peppers are spot on to make this an amazing treat to add to bagels and cream cheese, toast, used as a glaze on the grill. MOMENTO DE MUERTE from PEPPER NORTH.. Full flavor with lots of heat. 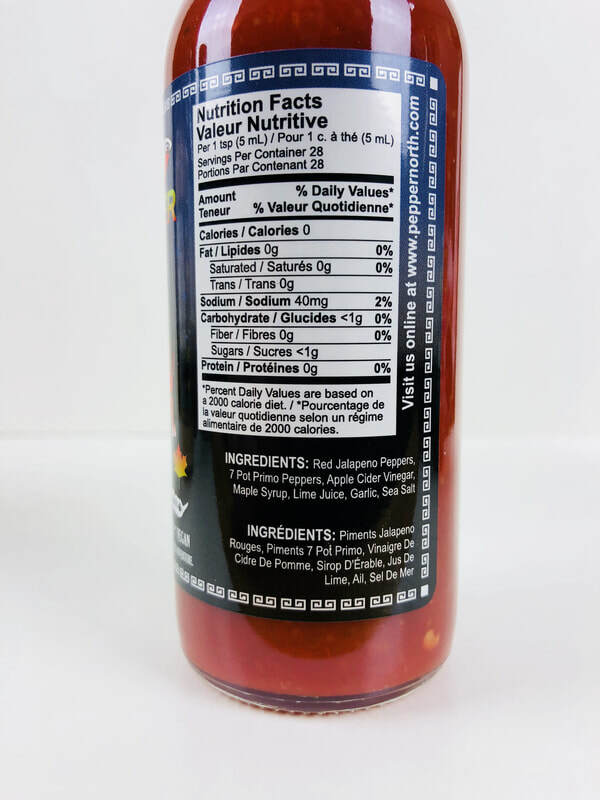 This sauce will light your taste buds up as you savor the flavor of the Carolina reaper pepper followed by habanero, onion, apple cider, black cherries, vinegar, lime juice, sugar, garlic and spices. 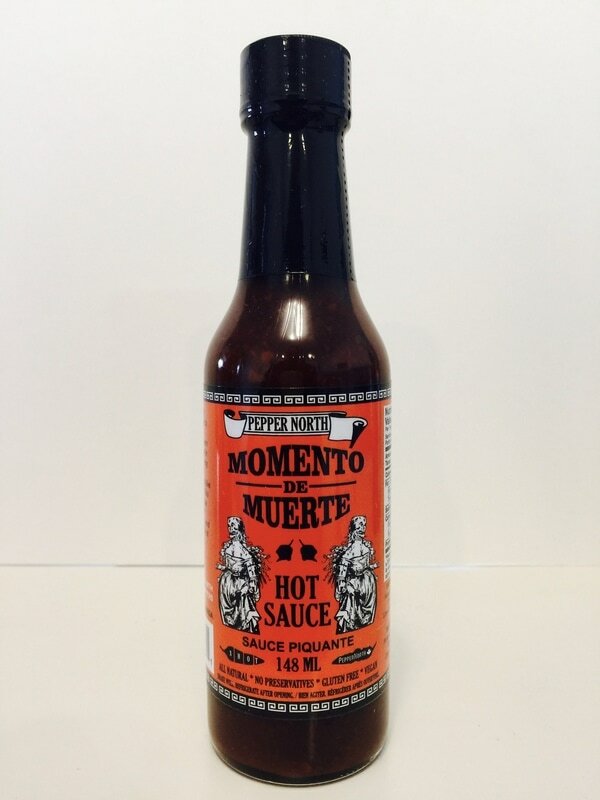 If your a lover of a real hot hot sauce with great flavor, then this is a perfect sauce for you. 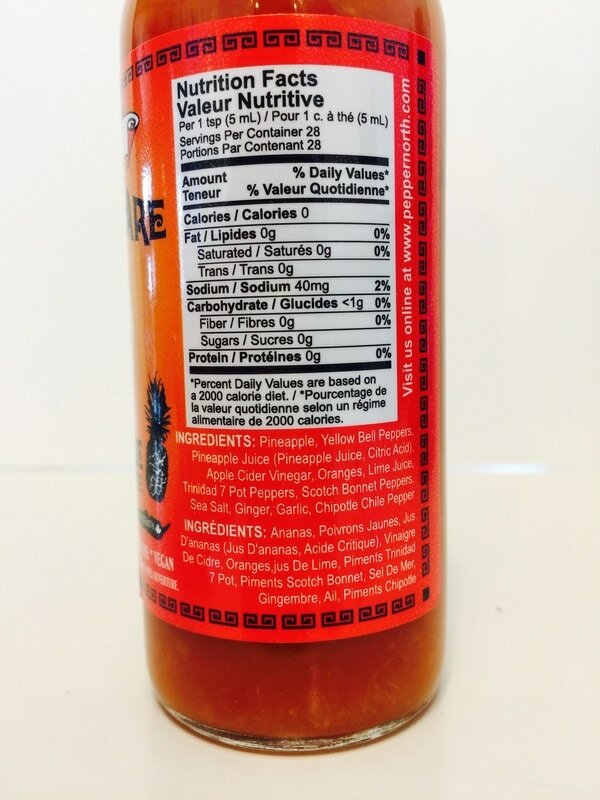 The combination of all the ingredients lends to an extremely tasty hot sauce you will love. The addition of the black cherries add a fruity after tone without being too sweet. This sauce made great hot wings with a little bit of a different flare. 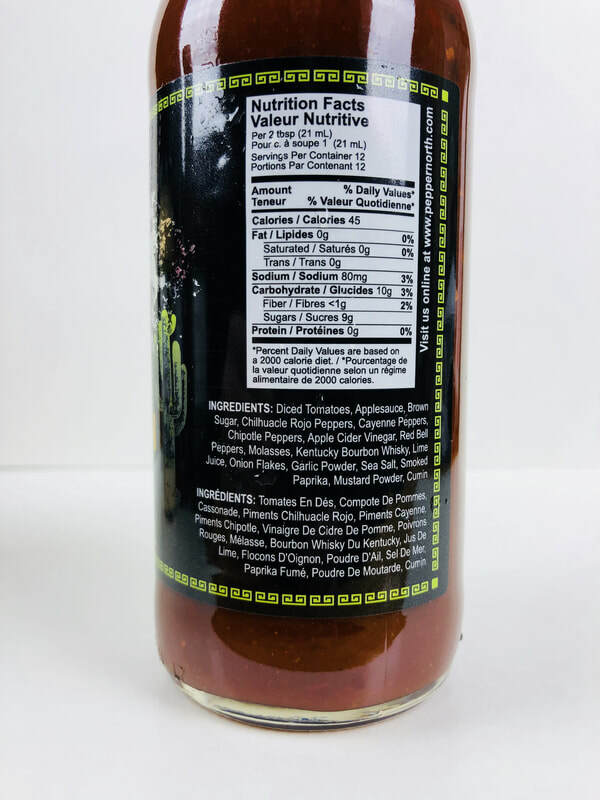 This would be awesome to mix into your favorite BBQ sauce to dress up the heat as you grill your chicken or ribs to perfection. 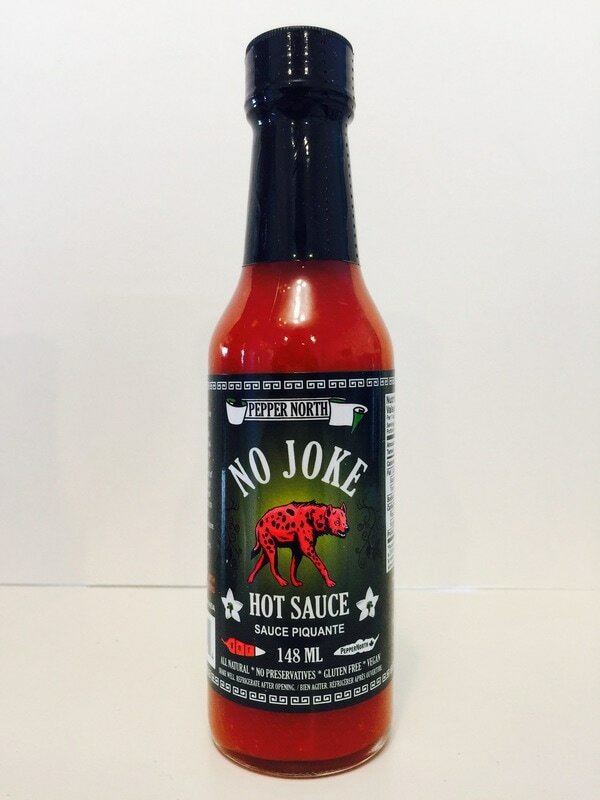 NO JOKE from PEPPER NORTH.. Get ready for an extremely flavorful and delicious hot sauce that will pair with just about any food. I love the flavor of this tomato based sauce with the added onion, red bell pepper, apple cider vinegar, lime juice, ghost pepper, sea salt and garlic. The addition of the ghost pepper brings a medium heat so it doesn't over shadow the other ingredients and the blend of flavors works fantastic to bring a great taste with the heat. Nothing over or under done. Fantastic Job Pepper North! Perfect on pizza, tacos, nachos, wings, in a Bloody Mary or a topping for your burger. 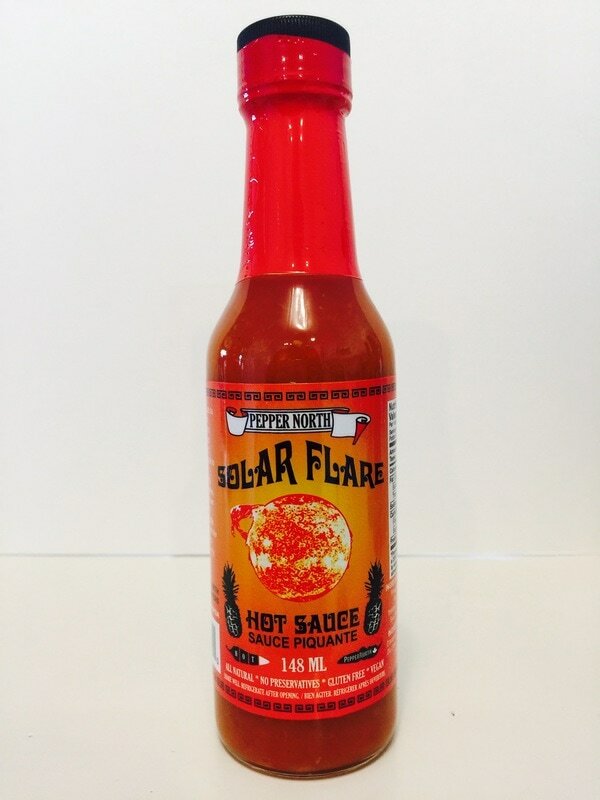 SOLAR FLARE from PEPPER NORTH.. First you get to taste the Trinidad 7 pot pepper which mixes nicely with pineapple, orange, and juice from limes and pineapple, to give you a delicious tropical flavor. You get a nice medium heat from the Trinidad 7 pot, scotch bonnet and a hint of chipotle. The sea salt and garlic adds a touch of depth while the freshness of the fruit shines through. This sauce was amazing as a marinade for pork chops, a topping for burgers and used as a dipping sauce. Add to pie filling or frosting to spice up your dessert! 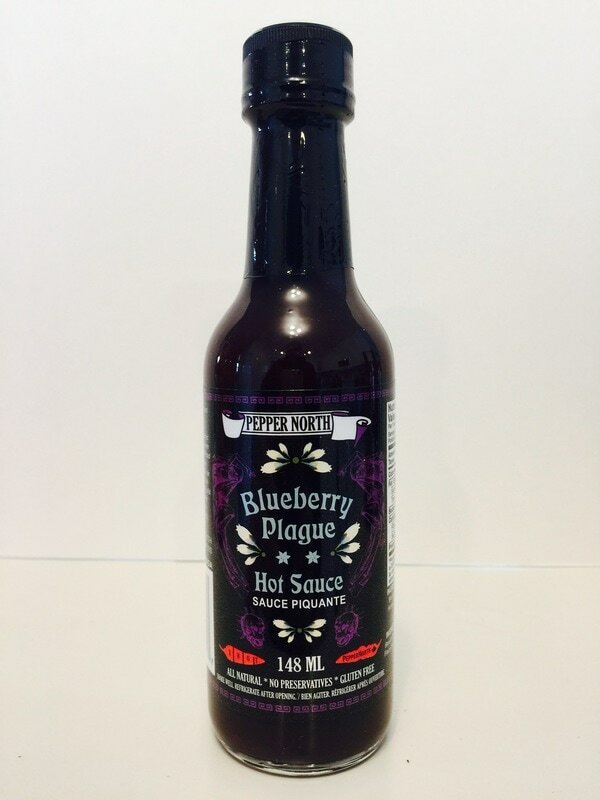 BLUEBERRY PLAGUE from PEPPER NORTH.. Blueberry is exactly you'll get in this sauce, then the flavor and heat from the scorpion pepper will sting your taste buds with a vengeance. Once the sting subsides, the rest of the flavor will come through. Theres a nice sweetness from the wildflower honey, coconut water and lime juice. The delicious combination of ingredients will make you want more. This would make a perfect sauce over ice scream, added to cream cheese for a dip, in a muffin mix, pie or just pour it on your favorite meat.